According to the Mayo Clinic a pilonidal cyst "is an abnormal pocket in the skin that usually contains hair and skin debris." These cysts occur at the base of the tailbone or the coccyx. They can be open abscesses with or without drainage. Uninfected cysts can simply be an uncomfortable bump or red spot. Some people turn to homeopathics as a remedy for the cysts. Dr. Vikas Sharma, also known as DrHomeo, recommends Myristica for treatment of pilonidal cysts. Myristica has a number of benefits including treating the infection, relieving pain, and reducing healing time. Antiseptic - According to Merriam Webster, antiseptic means opposing putrefaction and decay. It also means preventing or arresting growth of microorganisms. Myristica treats the infection and reduces healing time due to this antiseptic action. Myristica is so successful as an antiseptic that the Homeopathic Materia Medica states it "often does away with use of the knife." Heals inflammation - Inflammation causes a pain response according to the National Institutes of Health (NIH). Healing the inflammation will lessen and even completely remove the pain and redness. Take mysristica orally. Washington Homeopathic Products (WHP) sells Myristica for under $10 and recommends a dose of four pellets under the tongue three times a day. Decrease the dosage as the condition improves. If there is no improvement, see a medical practitioner or homeopath. Helen Swan of Natural Health Answers in the UK recommends using up to 10 doses of most remedies. If there is no improvement then, seek medical advice. As with most homeopathic remedies, there are no warnings or cautions for using myristica. The warnings are only to not use if the seal is broken. Seek medical advice before using a remedy if you are pregnant or breastfeeding. WebMD also indicates nutmeg and mace, which is where myristica comes from, are possibly safe when used in the amounts taken in food. A major benefit of using silicea, or silica, to treat this condition is its ability to expel foreign objects from the body. Silica is generally used in chronic illness with compromised immune system. 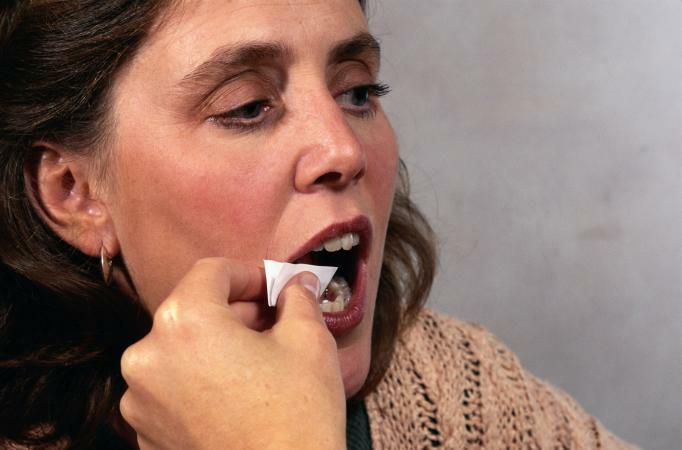 Silica helps clear abscesses according to the British Homeopathic Organization. This clearing action means expelling all foreign matter from the cyst. This includes hair, skin, and infection. Once the infection is gone, the inflammation will cease, and the pain will go away. Silica also boosts the immune system, which helps you to fight off other microorganisms that could cause the infection to spread or recur. Take silicea orally. 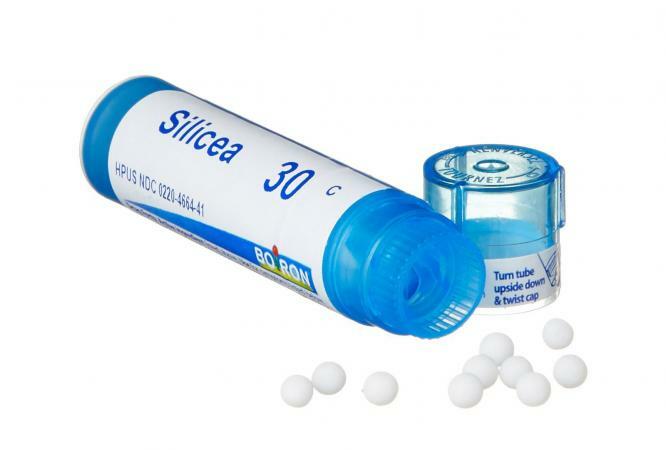 Homeopathy for Health carries silicea 30C for around $20. Their suggested dose is three pellets one to three times per day. Use less as you improve. If you don't notice any improvement within the first three or four days, consult a homeopath or medical practitioner. Encyclopedia.com warns that those with implants or artificial body components should avoid silica. Leaf cautions silica can reabsorb scars but can also reabsorb infections, so a homeopath should monitor you if you take it. This remedy is good for conditions with discharge. According to Encyclopedia.com, Hepar sulphuris (hepar sulph or hepar) is one of the best remedies for abscesses before they open. Herbs2000 states this remedy, "helps in getting rid of pus." Along with the aforementioned benefits, hepar sulph also relieves inflammation and redness associated with pilonidal cysts. Take hepar sulph orally. Walmart sells hepar sulph 30C online for around $7. Follow the usage directions on the label. If there is no improvement, see a health care practitioner or homeopath. Improvements should be clear within the first three to four days. As with most homeopathic remedies, the only warning for hepar sulph is to only take it if the seal is unbroken. It is always recommended that if you are pregnant or breastfeeding, you consult a healthcare professional prior to taking any remedy. Graphites are made from powdered graphite or carbon. They are extremely useful in the treatment of cold sores and skin conditions, according to Herbs2000. According to the Homeopathic Materia Medica, graphites treat sticky, oozing sores by allowing them to dry and heal, which is beneficial in the case of a pilonidal cyst. 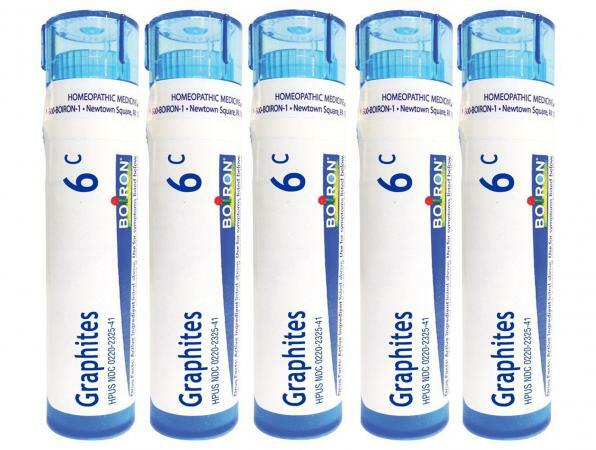 Take graphites orally. Homeopathy for Health has graphites for sale for $25. Take three pellets three times per day. Use less as you improve. If you don't notice any improvement within the first three or four days, see a homeopath or other healthcare provider. As with most homeopathic remedies, the only warnings that exist are to use only if the seal is unbroken. If you are pregnant or breastfeeding, seek advice from a healthcare practitioner. Anyone can get pilonidal cysts; however, people under 20 are more susceptible. Young men are at greater risk than women. Pus and blood no longer drain from the wound. Standing no longer causes pain. If you suspect you have a pilonidal cyst or are diagnosed with one, homeopathy can be an alternative to surgery. Talk to your doctor, consult a homeopath, and do your research so you can make an informed decision.